The primary advantages of shooting prime lenses are their optical quality and fast maximum apertures. With these fast lenses you'll have tremendous control over depth of field and uncompromising image quality. 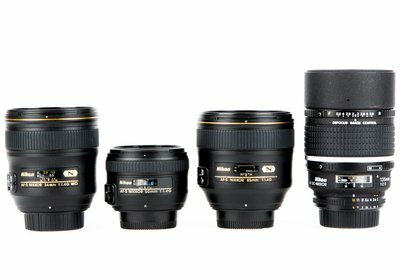 These lenses are perfect for shooters who perfer to be more upclose and personal with their subjects. Optionally you can add a 70-200 f/2.8 for those situations where you may need a bit more reach. Want a camera body as well? Click on the Related and Accessories tabs for additional gear we suggest or check out the other packages we have available!